A brisk, concise, and readable overview of Irish history from the Protestant Reformation to the dawn of the twenty-first century Five centuries of Irish history are explored in this informative and accessible volume. 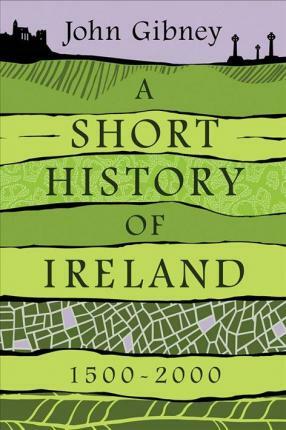 John Gibney proceeds from the beginning of Ireland's modern period and continues through to virtually the present day, offering an integrated overview of the island nation's cultural, political, and socioeconomic history. This succinct, scholarly study covers important historical events, including the Cromwellian conquest and settlement, the Great Famine, and the struggle for Irish independence. Gibney's book explores major themes such as Ireland's often contentious relationship with Britain, its place within the British Empire, the impact of the Protestant Reformation, the ongoing religious tensions it inspired, and the global reach of the Irish diaspora. This unique, wide-ranging work assimilates the most recent scholarship on a wide range of historical controversies, making it an essential addition to the library of any student of Irish studies.